Please email any questions to faq@PeoplesGardenNYC.org. We’ll do our best to answer each and every one of them. Can I get high resolution versions of the images in the YouTube video? 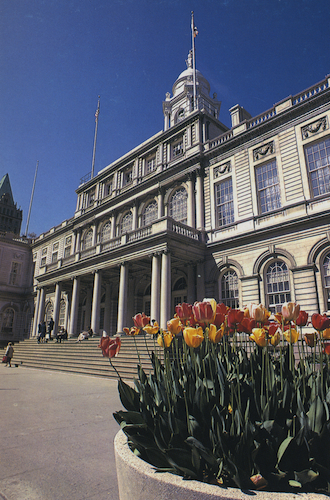 Was there ever vegetation growing right in front of City Hall? 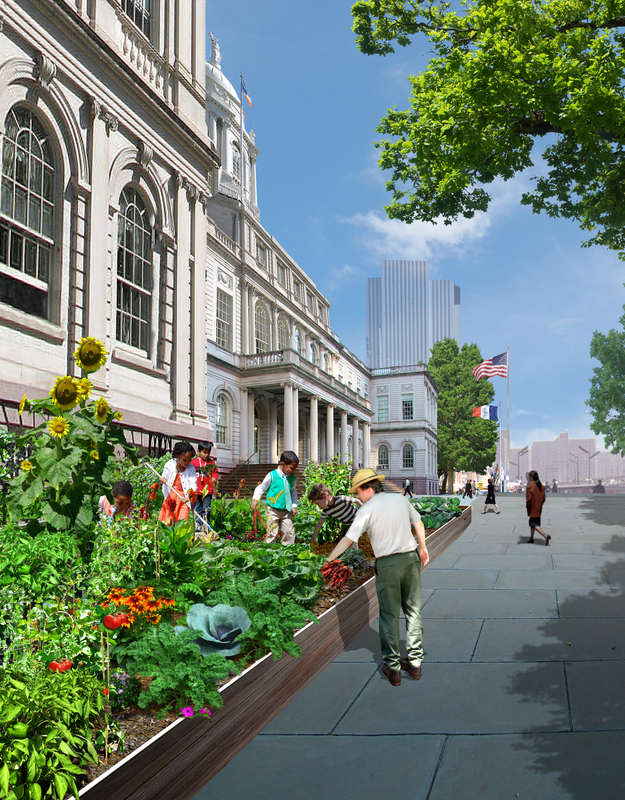 What about gardeners bringing dirt on their shoes and hands into City Hall? 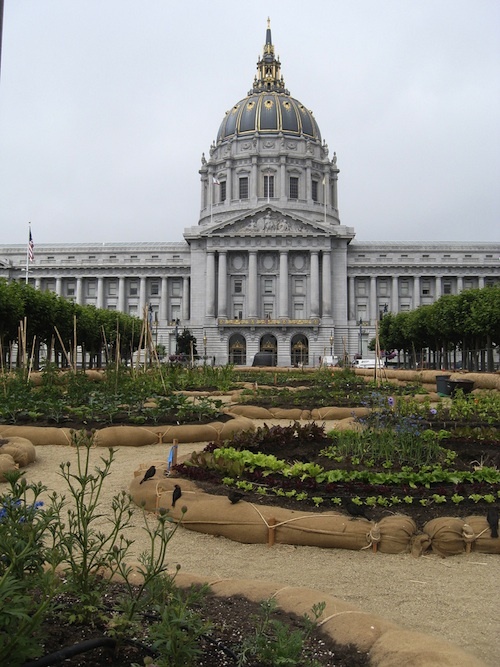 Are other cities growing vegetables at their City Halls? 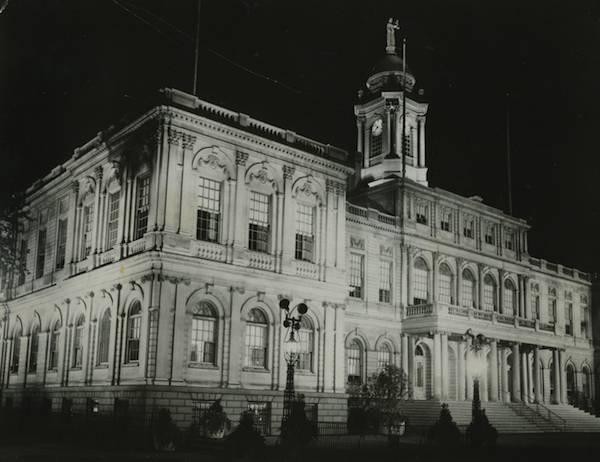 Did Abraham Lincoln ever visit New York City? The name People’s Garden is a tribute to President Abraham Lincoln, and to the good work of the USDA. 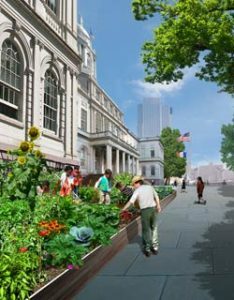 The USDA started their People’s Garden at USDA Headquarters on February 12, 2009. The reason, according to USDA: “When Abraham Lincoln founded USDA in 1862, he referred to it as The People’s Department. It is a description that is as true today as it was then. USDA touches the lives of Americans every day. To commemorate this significant link to all Americans, Secretary of Agriculture Tom Vilsack, broke ground on the first People’s Garden at USDA Headquarters on February 12, 2009, the bicentennial of Lincoln’s birthday.” Click here for more on the USDA People’s Garden Project. Yes. There have been trees and flowers in planters, as pictured below. The most recent were removed during the Giuliani administration. There is a Port-A-John next to City Hall already, presumably for this very reason! Yes. He made his famous Cooper Union speech on February 27, 1860. The same day, he was photographed by Matthew Brady. 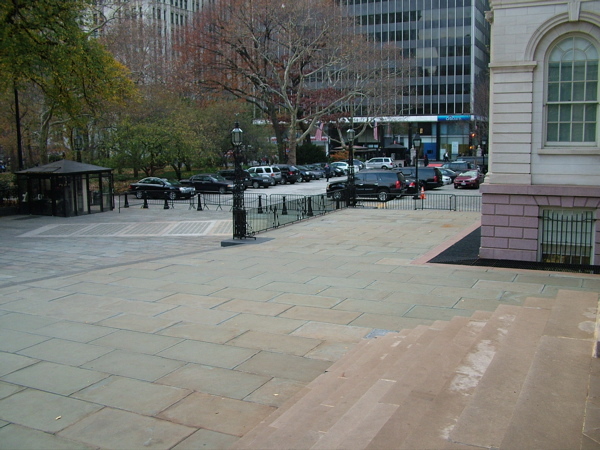 He visited New York City again before his inauguration, and was greeted by Mayor Fernando Wood. 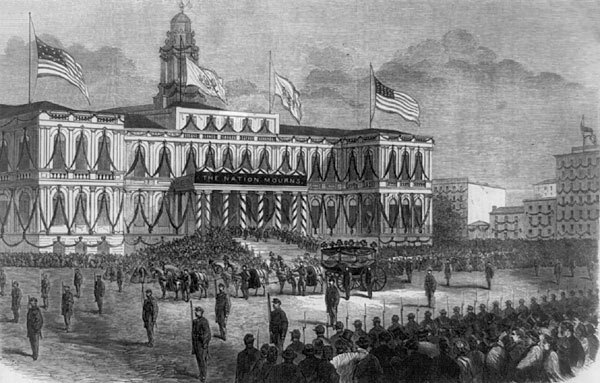 Sadly, his funeral procession is what brought Lincoln to New York City next. A 6 year old named Theodore Roosevelt was one of those who witnessed his funeral procession down Broadway. 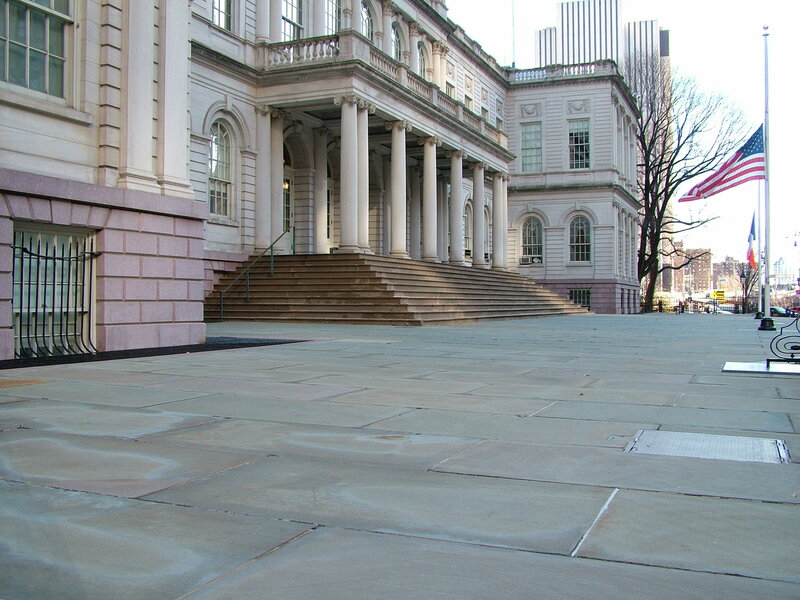 Lincoln lay in state at NYC City Hall, and an estimated 150,000 mourners filed by his coffin.